It seems like one of the things we forget about throughout our busy lives is looking after ourselves. Pamper nights have always been something that I have to fit in within my busy week - it kind of gives me that time for me (which I believe we all need). Although, its one of those things that are so easy to forget, especially with our busy lives - we get home and just want to get the cuppa on and get in bed and that's fine but I recommend everyone to pamper yourself once a week, this is the time where you can properly de-stress and relax. I've recently been introduced to the 3-blade shaver from Panasonic, which has made my pamper routine such a pleasant experience. The multi-flex 3D head makes it a quicker shave and obviously all men have to shave, it's also a fact that no men like shaving but since I've been using the shaver from Panasonic, it's made it so much easier for me! It's perfect for getting that close shave that every man dreams of. It has a multi flex 3D head that allows you to get in all those areas of your face that is normally such a struggle. I recently discovered charcoal nose strips and they have been a big part of my pamper routine, one of the main reasons that is for the satisfying peel off at the end! But no in all seriousness, you'd be surprised by what your skin picks up after a day of errands and this is why a deep cleanse is so important! As much as there are many important steps to a successful pamper routine, it's also beneficial to make it unique to you but this also comes with knowing what your skin needs. 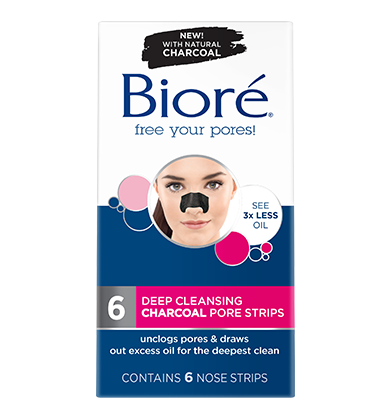 The Bioré Charcoal Pore Strips work like a magnet! They instantly lock onto your skin and draw out deep-down dirt & oil that can cause blackheads (which nobody wants!). They are infused with natural charcoal, these innovative pore strips draw out excess oil for the deepest clean. In just 10 minutes, you'll remove weeks' worth of build-up and see 3x less oil. With natural charcoal, known for its ability to draw out and trap deep-down impurities (which is definitely what we DO want!). Removing the nose strip has to be one of my favourite things about this product, there's something so soothing about peeling something off your skin, (and nobody has to be embarrassed to admit that we all put clumps and clumps of PVA on our hands as a child and let it dry so we could peel it off aha!) it comes off so easy! Run yourself a bath - this is an essential for relaxation! Throw your favourite Lush bath bombs in, grab yourself a drink, start streaming your favourite Netflix series and have some time for yourself! Skin care is amazing for making you feel silky soft and comfortable with your own skin. I recently did a post on my favourite men's moisturiser which you may find handy. Face masks are also a huge favourite amongst pamper queens and is also a quick way to giving you a silky facial. Fresh bed sheets - is there ANYTHING better than that? I can't think of nothing.. There's nothing better than fresh PJ's alongside fresh crispy sheets - it's a MUST. Shaving is something any man hates doing but also every man HAS to do. The 3-blade shaver from Panasonic has been such a pleasant piece of equipment in my routine and have made shaving something to look forward to! I hope you found this post beneficial - it's nice to take time out yourself and you deserve it!